My washcloth stores had gotten rather low, so I’ve been knitting up some replacements. As my husband says, the knitted ones just work better. The machined washcloths are making their way into the rag bucket as the knitted ones come off my needles. It’s interesting- the knitted ones are far more durable and do not seem to wear out so quickly or get as stained. The pattern I am using is an old, old one. Our grandmas probably used the same one. 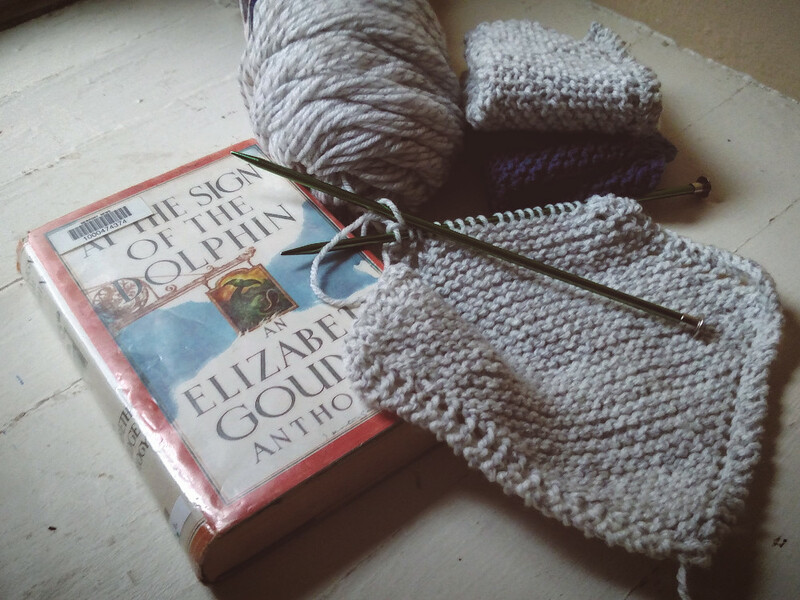 After many fellow Yarn Along friends recommended that I might like Elizabeth Goudge, I finally found her at the library. 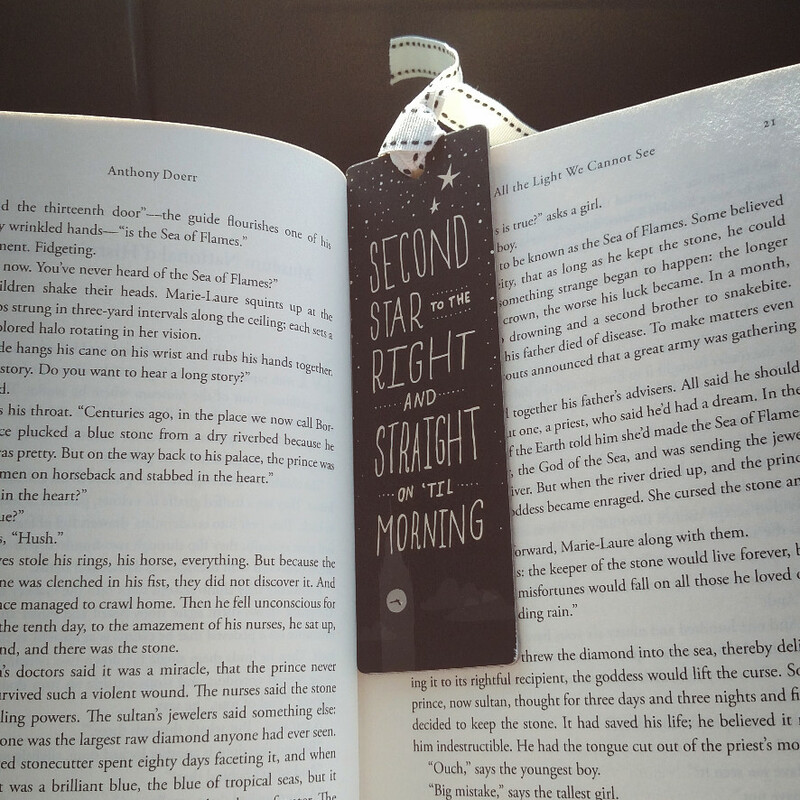 I made the mistake of starting the first story while in the doctors’ office yesterday with one of my children- the time I had to read was much too short! That’s the first time I’ve bemoaned that we didn’t have to wait very long. Ha! On the next row, knit two stitches, yarn over, knit to the end of row. Continue each row until forty-four stitches are on the needle. 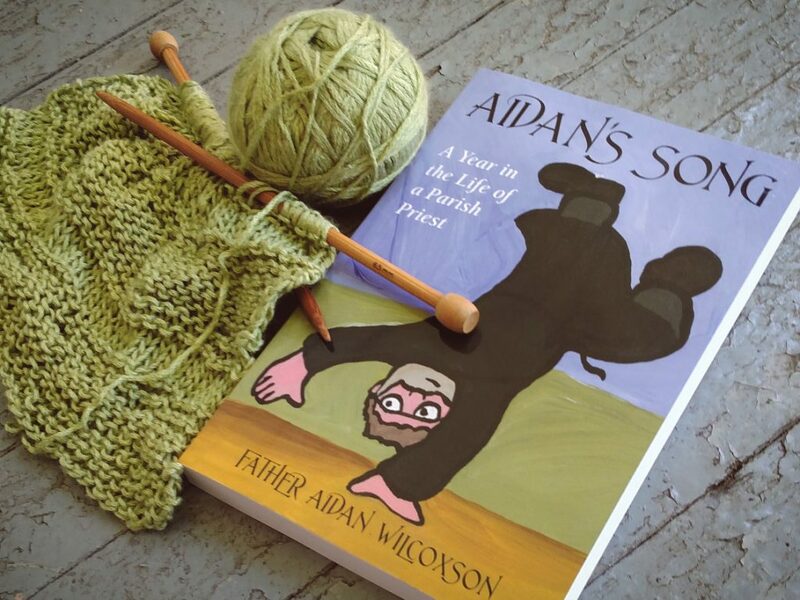 In the next row, knit one, knit 2 together, yarn over, knit 2 together, knit to the end of row. Continue until four stitches are left on the needle, cast off. 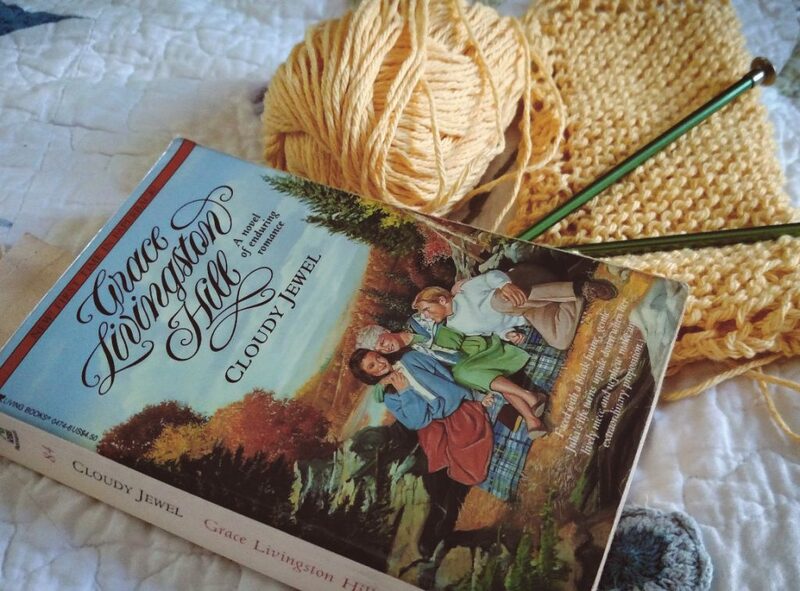 It’s been a slow knitting and reading week. There hasn’t been much time. I’ve put in a few rows on each while waiting for something. I should sit down and figure the decrease again, because the gray one is decreasing oddly. I think I may have missed a stitch. 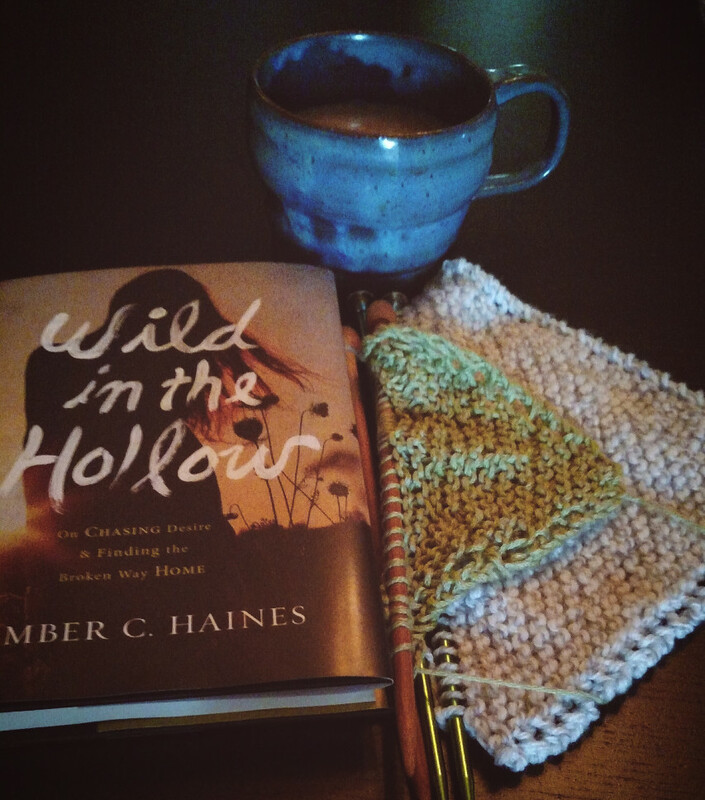 I have barely scratched the surface of Wild in the Hollow, but I know it will be good. I’ve been reading Amber’s blog since its birth, and I trust her in the journey she is getting ready to take me on. I’ve been looking forward to the book’s release for a long, long time. 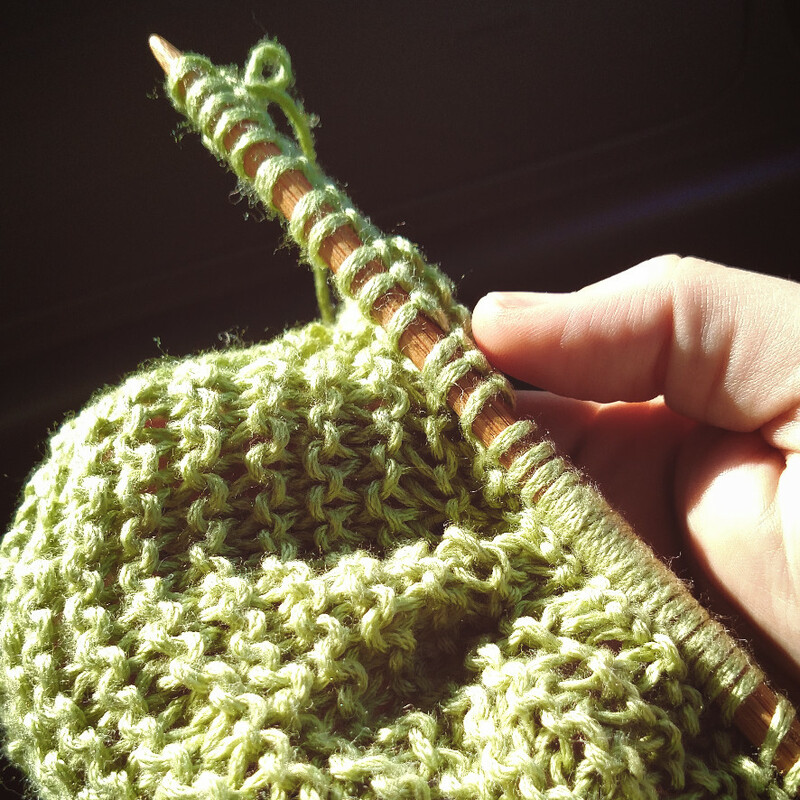 I am trying to finish my pillow cover…I was just about to begin the decrease when, distracted in the car, I dropped a bunch of stitches. Even with a lifeline in, I couldn’t figure out how to fix it, and thus had to frog it all the way back and begin again. I am determined! 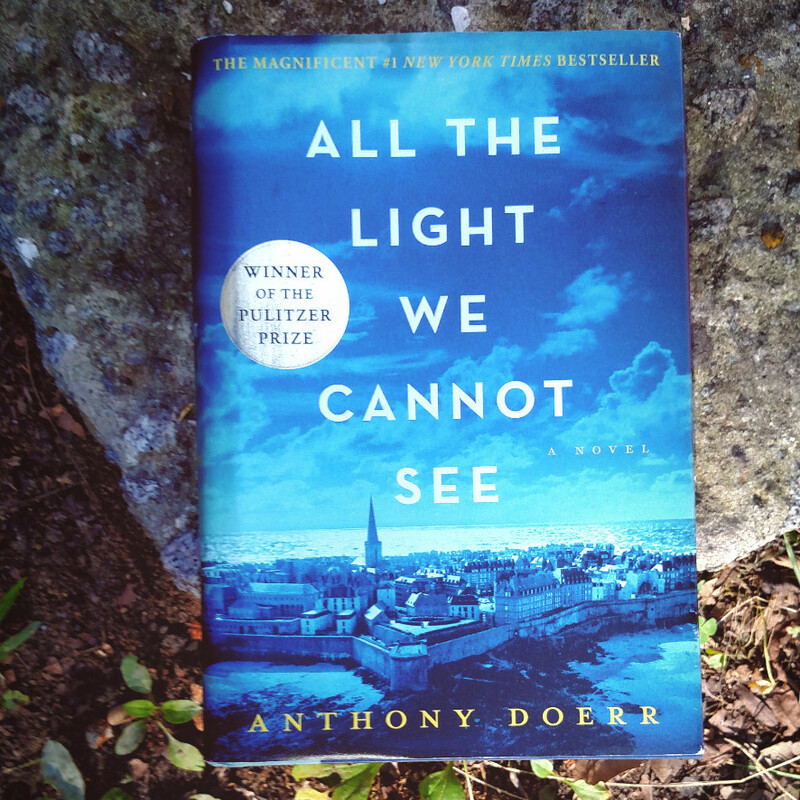 I read All the Light We Cannot See on our travels through hills and curves and long long roads, next to the river, the wind whispering in the trees…there is no wonder why it won the Pulitzer. It will shatter you, knit you back together. I have no words but tears. Absolutely five stars.